A woman has sued the pastor of a megachurch in Georgia for pushing her head while praying for her, causing her to fall down to the ground and hit her head. She says she got a traumatic brain injury due to the incident. 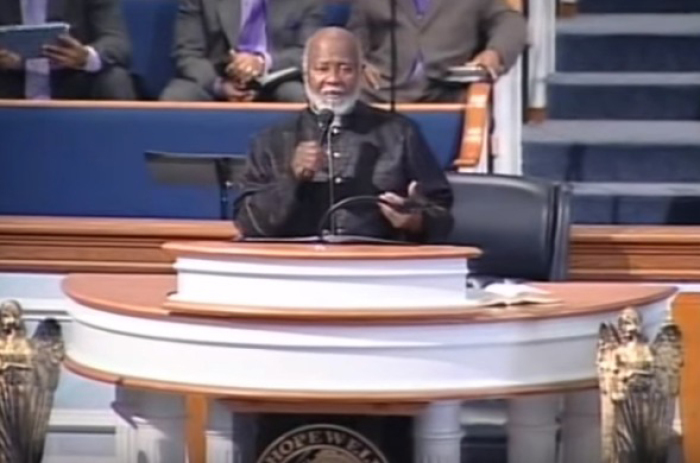 Yvonne Byrd was injured when the pastor, Bishop William Sheals, pushed her head when he was walking around and praying for church members at Hopewell Missionary Baptist Church in Gwinnett County, according to The Atlanta Journal-Constitution. "When defendant Sheals passed Ms. Byrd, instead of blessing her by touching her on the head as he did other congregants, he pushed her forehead with such force, that it caused her to fall backward and slam the back of her skull against the hard floor," the lawsuit states. Byrd suffered a "mild traumatic brain injury." While the incident took place last March, she says she is still recovering. Sheals is 71, and the church's pastor for nearly 38 years. Hopewell has about 15,000 members. "Defendant Hopewell had a duty to adequately supervise and train its employees, including defendant Sheals, as to appropriate and safe physical contact with congregants during church services," the lawsuit adds. Byrd wants a jury to hold a trial and is asking for unspecified damages for personal injuries, medical expenses and permanent physical and psychological damages. "The church was kind of her family. That has been the biggest tragedy of this whole thing. It happened at a place that was so near and dear to her heart," attorney Chuck Clay tells WSB-TV. Since her fall last year, Byrd has had headaches and dizziness, and has visited hospitals several times, he said, adding that the church's insurance company has refused to cover the medical bills which is why Byrd filed a lawsuit against the church and the pastor. The pastor is described on his personal website as: "Bishop Sheals, a Lakeland, Florida, native, came to Hopewell in May 1980. Under his direction and leadership Hopewell grew from a small rural church to a suburban megachurch. Bishop Sheals is extremely grateful to God for blessing this union of pastor and church for so many years, which is rarely heard of in today's religious communities." It adds, "In his lifetime, Bishop Sheals has received numerous awards and honors such as the Presidential Special Citizens Award for Founding Director of Ministers Against Drugs in 1989, Founding president of the North Metro 100 Black Men in 1993, recipient of the Martin Luther King Jr. Drum Major Award in 1999, and Who's Who in Black America in 2002, and most recently Bishop Sheals received the Gwinnett County NCCAP Lifetime Achievement Award."